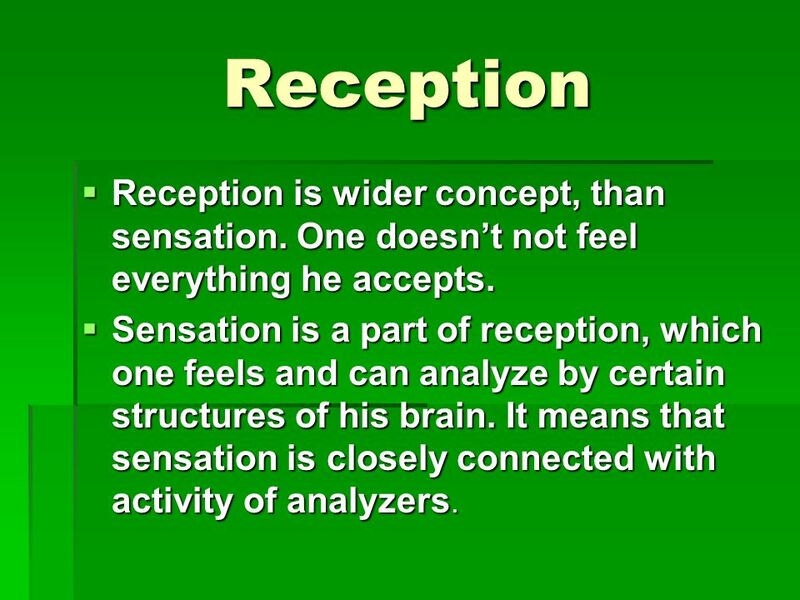 4 Reception Reception is wider concept, than sensation. One doesn’t not feel everything he accepts. 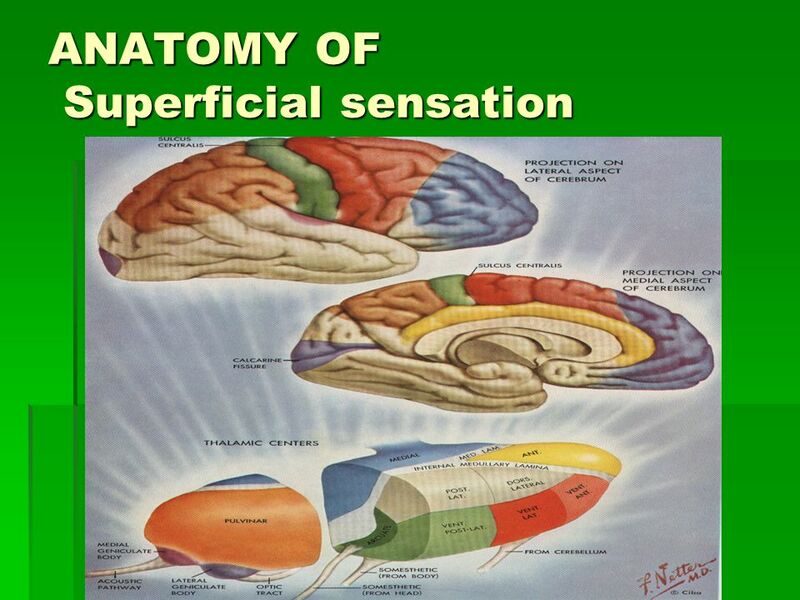 Sensation is a part of reception, which one feels and can analyze by certain structures of his brain. It means that sensation is closely connected with activity of analyzers. 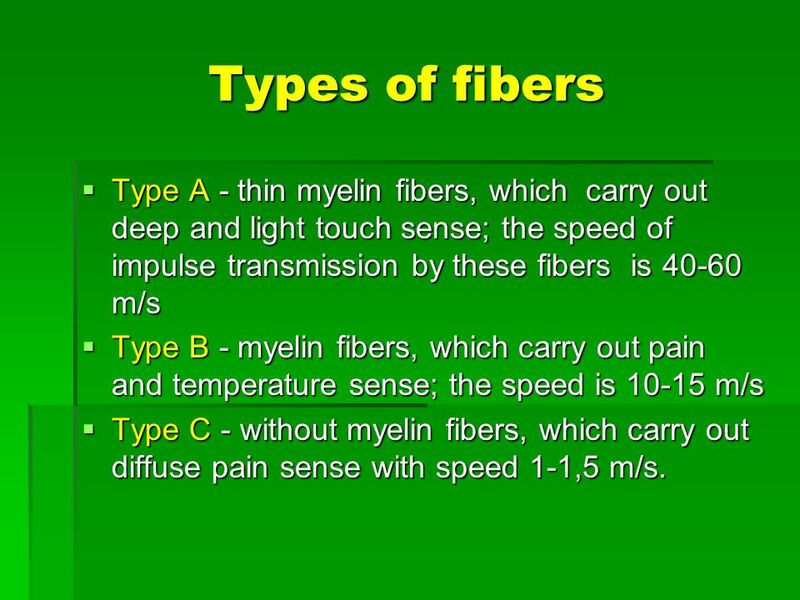 9 Types of fibers Type A - thin myelin fibers, which carry out deep and light touch sense; the speed of impulse transmission by these fibers is m/s Type B - myelin fibers, which carry out pain and temperature sense; the speed is m/s Type C - without myelin fibers, which carry out diffuse pain sense with speed 1-1,5 m/s. ІІ. 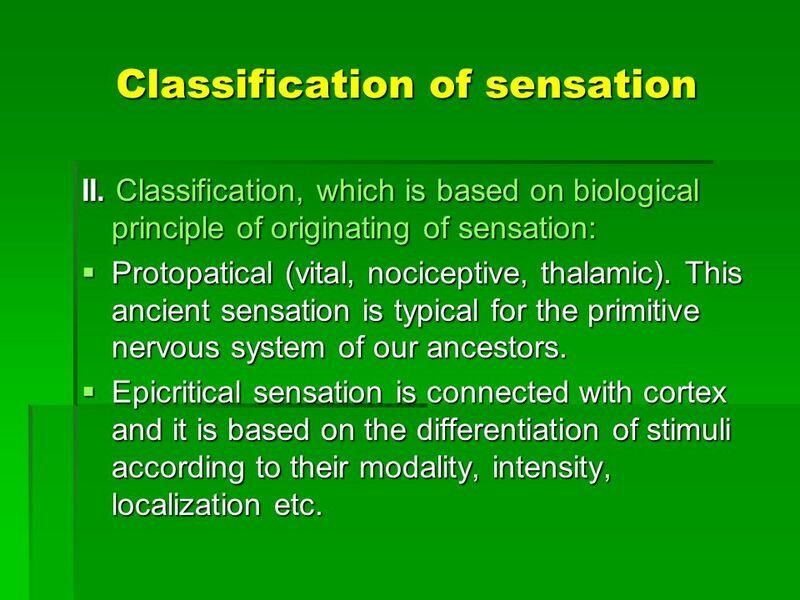 Classification, which is based on biological principle of originating of sensation: Protopatical (vital, nociceptive, thalamic). This ancient sensation is typical for the primitive nervous system of our ancestors. 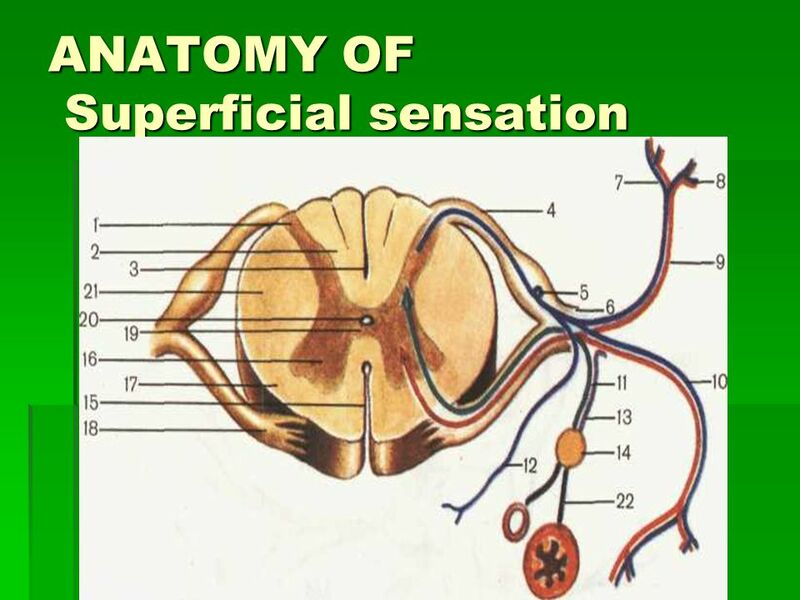 Epicritical sensation is connected with cortex and it is based on the differentiation of stimuli according to their modality, intensity, localization etc. 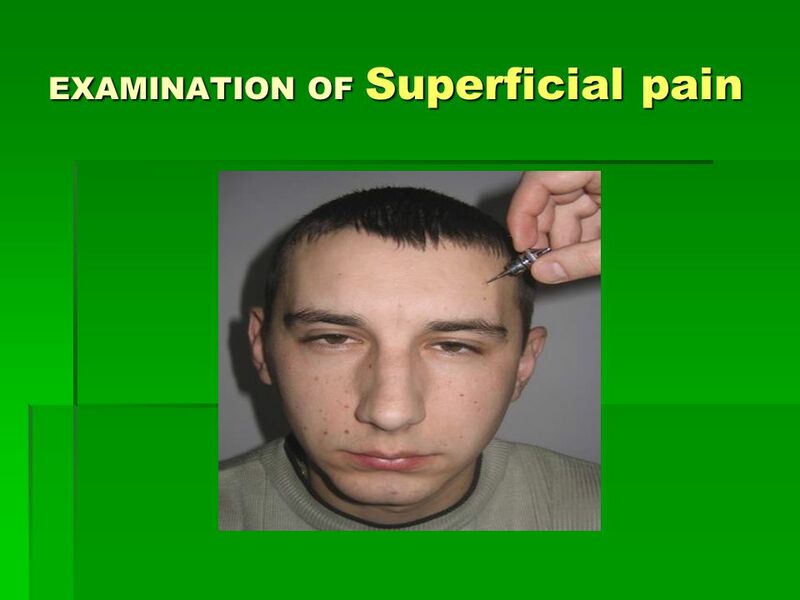 Stereognosis (Three-point distinction) is the ability to identify familiar object placed in the palm of the patient by palpation when the eyes are closed. Graphism – is the ability to determine figures and numbers traced on the skin with the closed eyes. 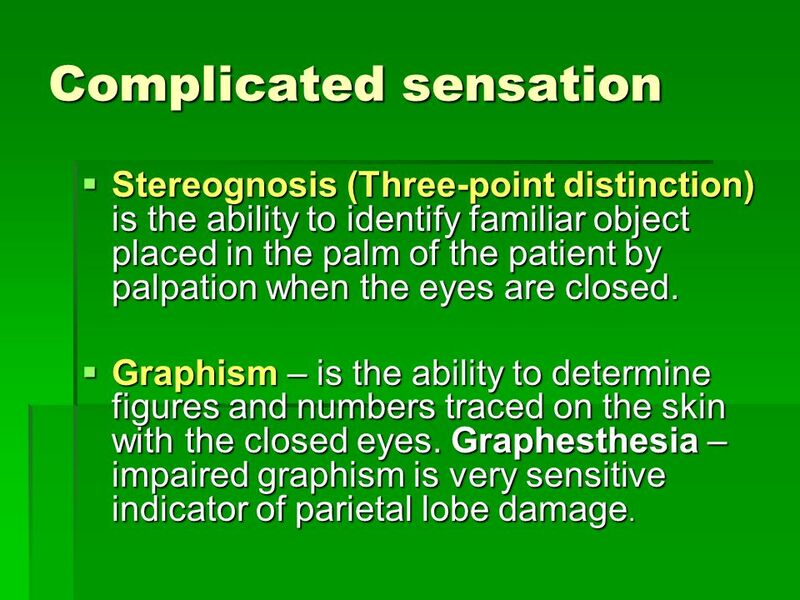 Graphesthesia – impaired graphism is very sensitive indicator of parietal lobe damage. Localization sense - is the ability to point an exact place of the stimuli. 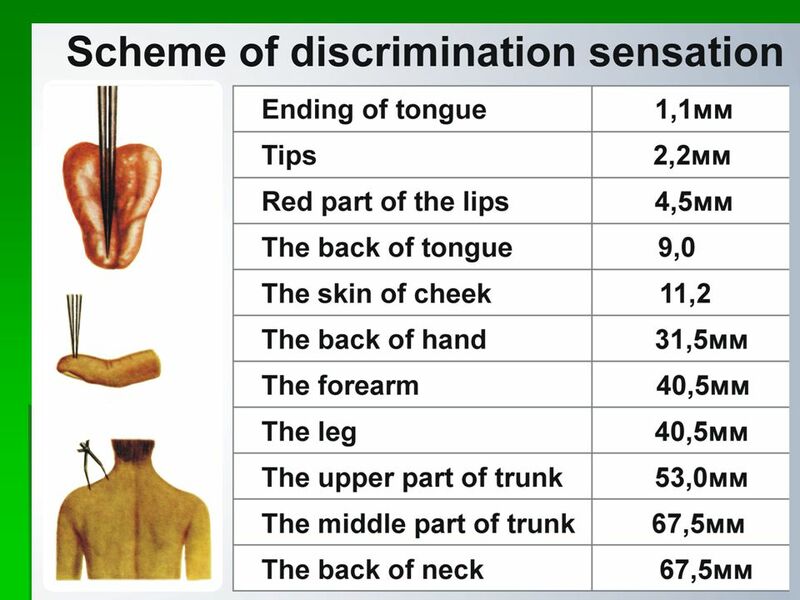 Discrimination sense (two-point discrimination) - tests the ability of the patient to differentiate one stimulus from two. It may be examined by Weber’s circus. Baragnosis – is the impaired ability to distinguish different weights. 1. The decussating in front of white soldering occurs not in a horizontal plane at a level of segment, but obliquely from below upwards during 1-2 segments. 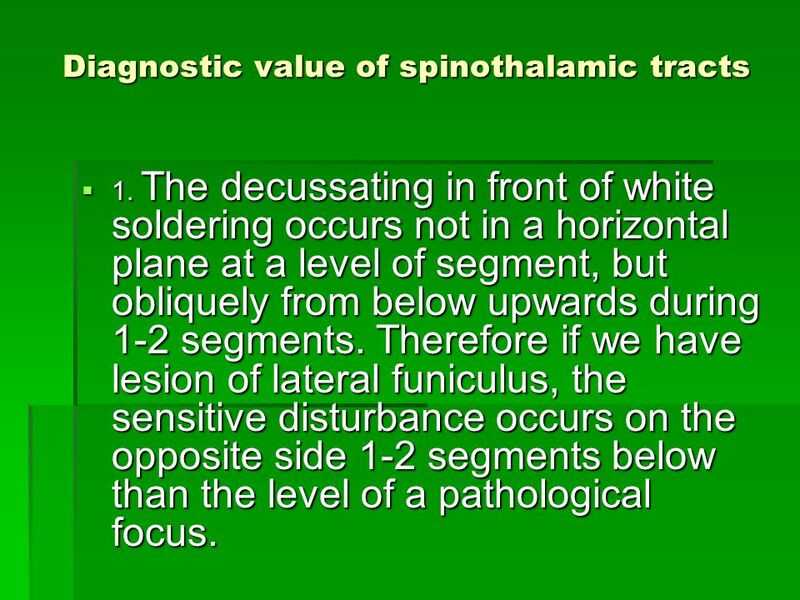 Therefore if we have lesion of lateral funiculus, the sensitive disturbance occurs on the opposite side 1-2 segments below than the level of a pathological focus. 2. 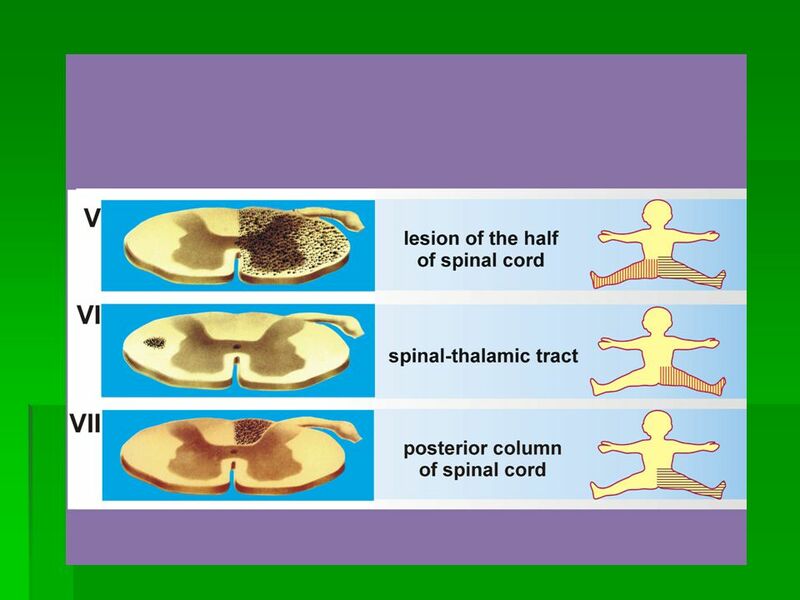 The caudal contributions to the spinothalamic tract are pushed laterally by the incoming contributions from higher up results in a lamination of the tract, with the fibers from the lowers segments of the spinal cord placed more dorsolaterally on each side. 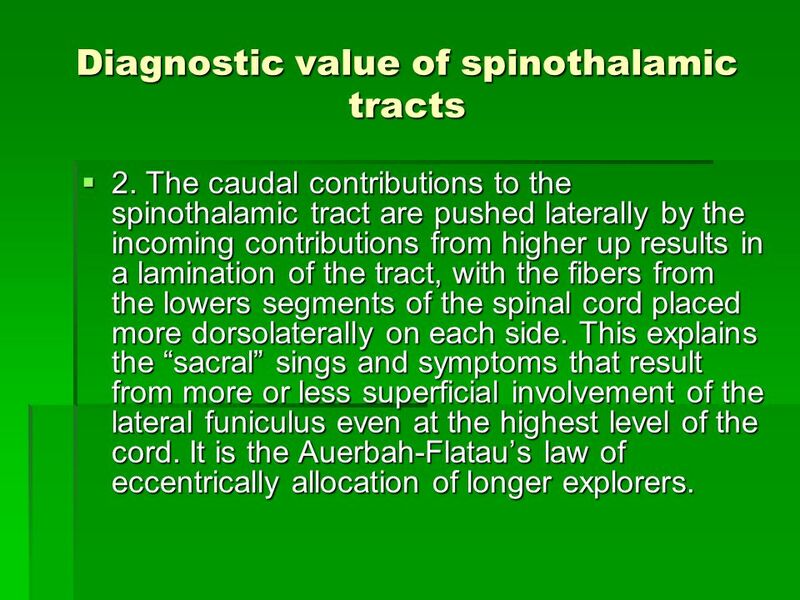 This explains the “sacral” sings and symptoms that result from more or less superficial involvement of the lateral funiculus even at the highest level of the cord. It is the Auerbah-Flatau’s law of eccentrically allocation of longer explorers. Anesthesia - complete loss of any sorts of sensation. 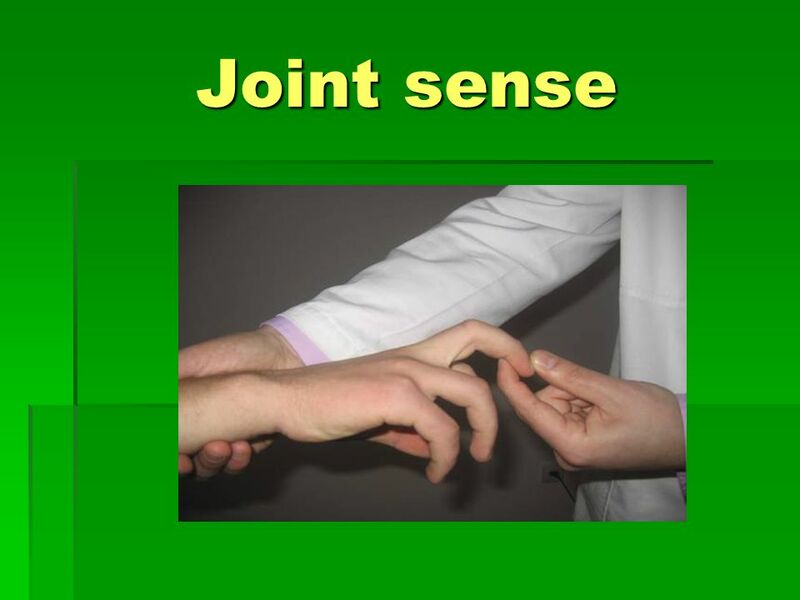 For example: Analgesia - loss of pain sense. 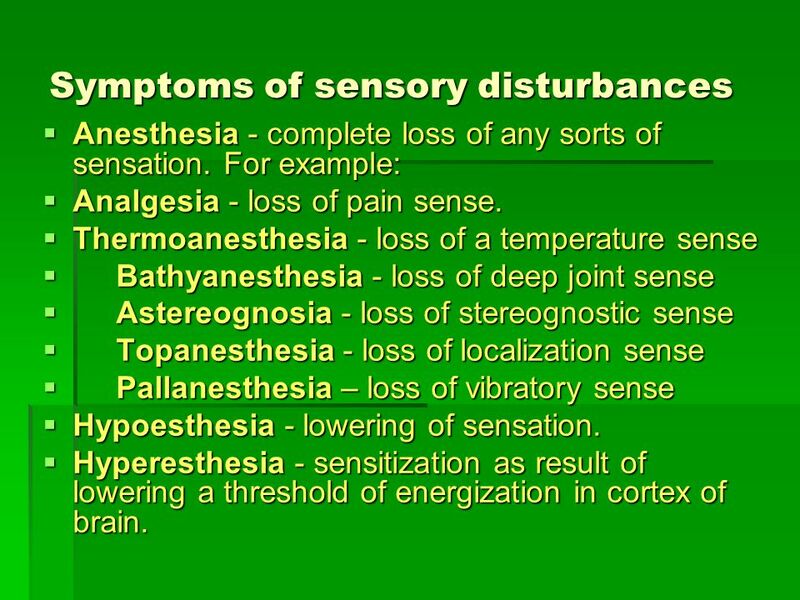 Thermoanesthesia - loss of a temperature sense Bathyanesthesia - loss of deep joint sense Astereognosia - loss of stereognostic sense Topanesthesia - loss of localization sense Pallanesthesia – loss of vibratory sense Hypoesthesia - lowering of sensation. 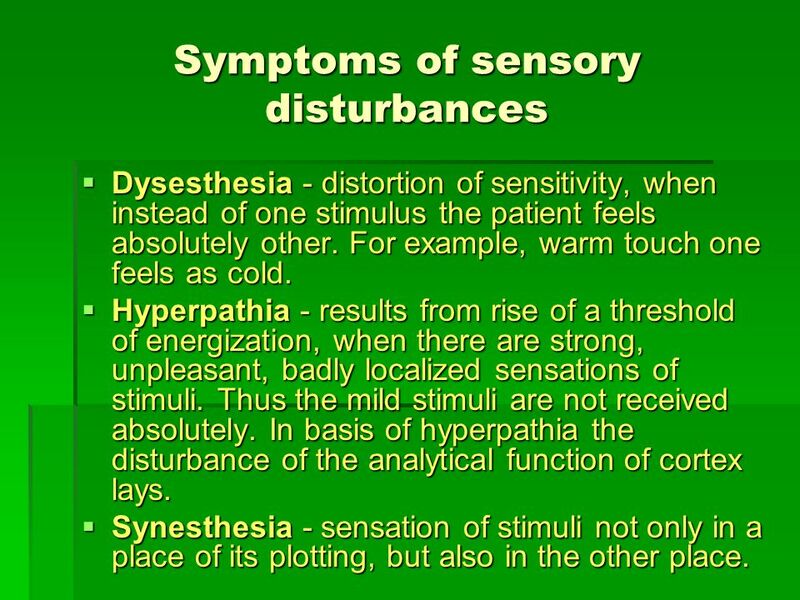 Hyperesthesia - sensitization as result of lowering a threshold of energization in cortex of brain. Dysesthesia - distortion of sensitivity, when instead of one stimulus the patient feels absolutely other. For example, warm touch one feels as cold. Hyperpathia - results from rise of a threshold of energization, when there are strong, unpleasant, badly localized sensations of stimuli. Thus the mild stimuli are not received absolutely. In basis of hyperpathia the disturbance of the analytical function of cortex lays. Synesthesia - sensation of stimuli not only in a place of its plotting, but also in the other place. Polyesthesia - means sensation of one stimulus as several ones. 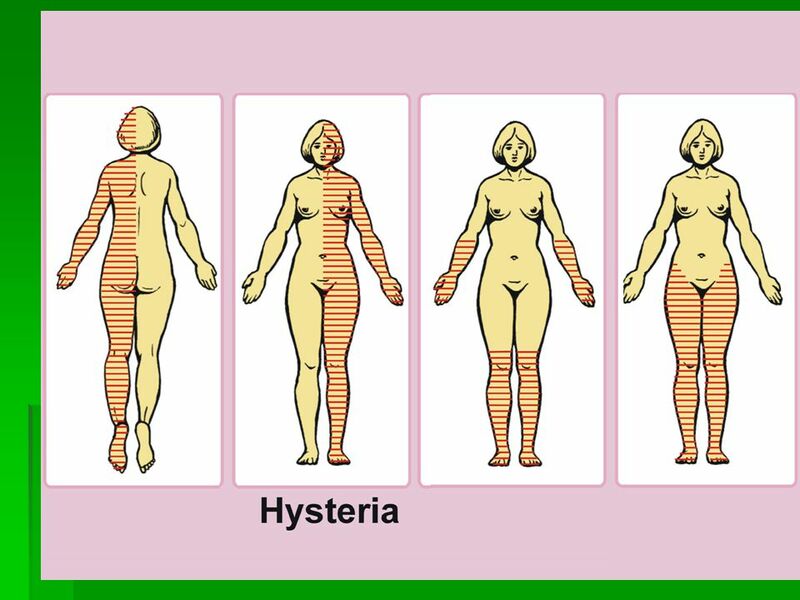 Alloheyria - sensation of stimuli in symmetrical sites on an opposite body part. Alloesthesia - sensation of stimuli in the other place. 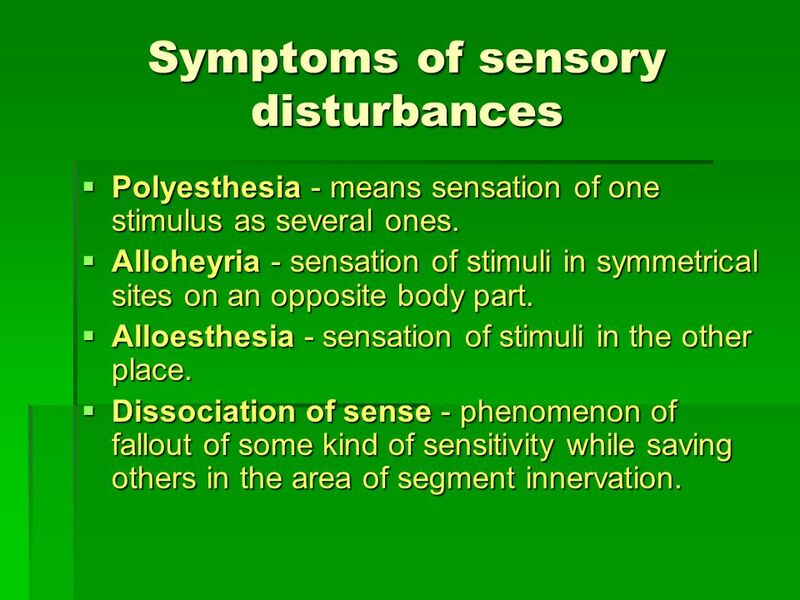 Dissociation of sense - phenomenon of fallout of some kind of sensitivity while saving others in the area of segment innervation. 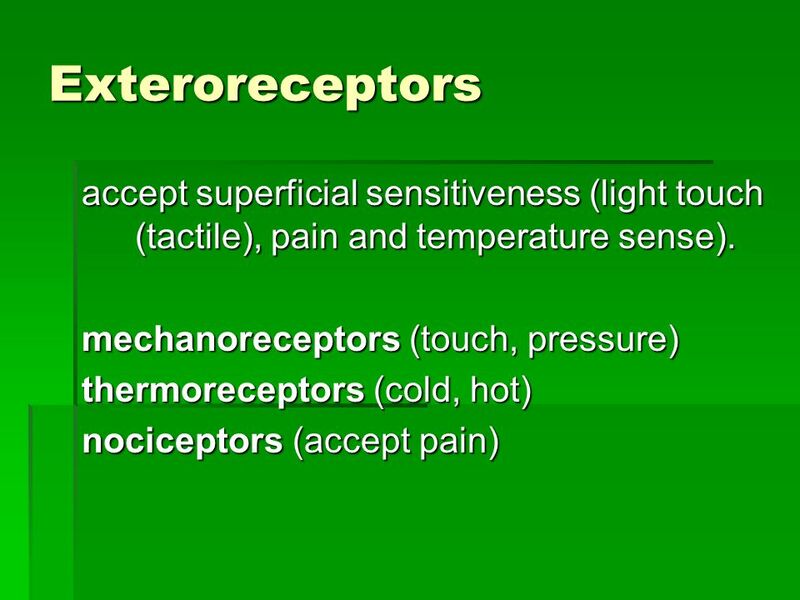 Paresthesia is a creeping sensation, cold, burning sensation, fever, numbness, itch, the pricking etc. 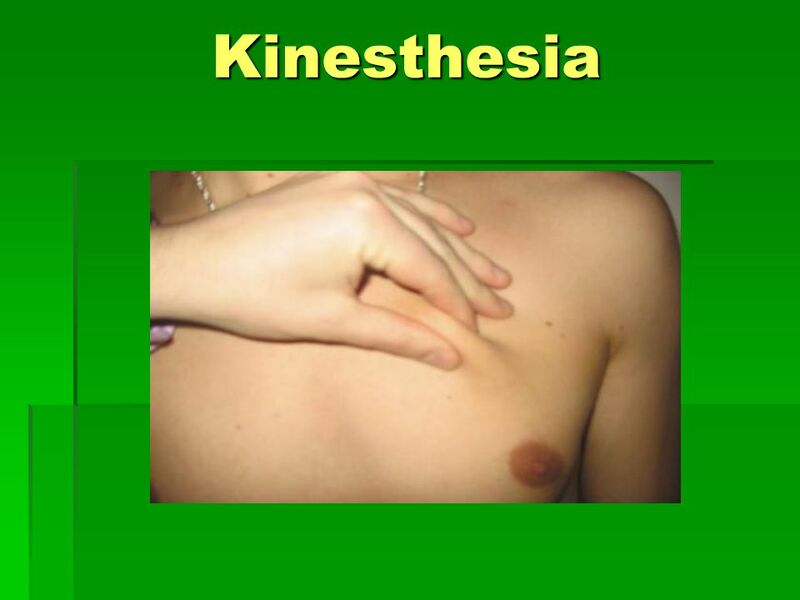 Frequently paresthesia is the first sign of nervous system lesion. Pain. 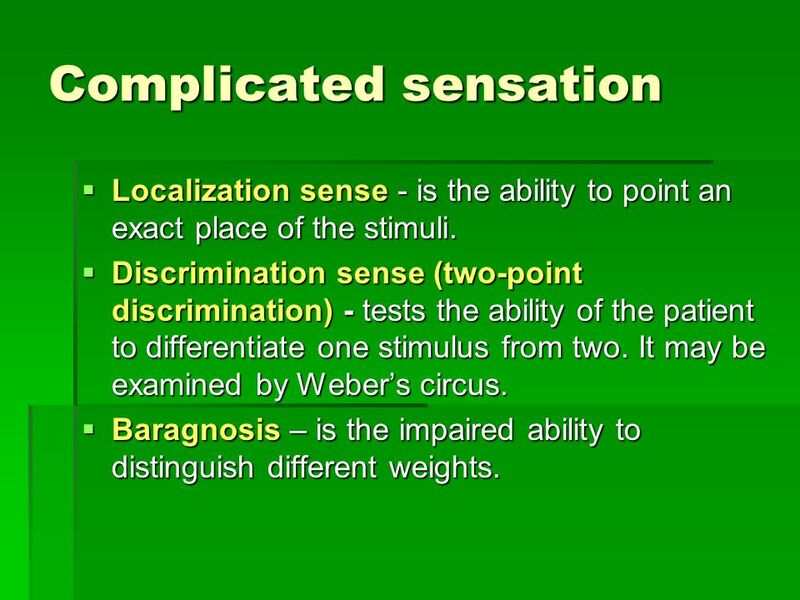 The pain sensations can arise at stimuli by the pathological process of sensitive analyzers at any level (from receptors up to cortex). 39 Types of pain 1. Local pain - is pain, for example, at palpation of the nervous trunk. 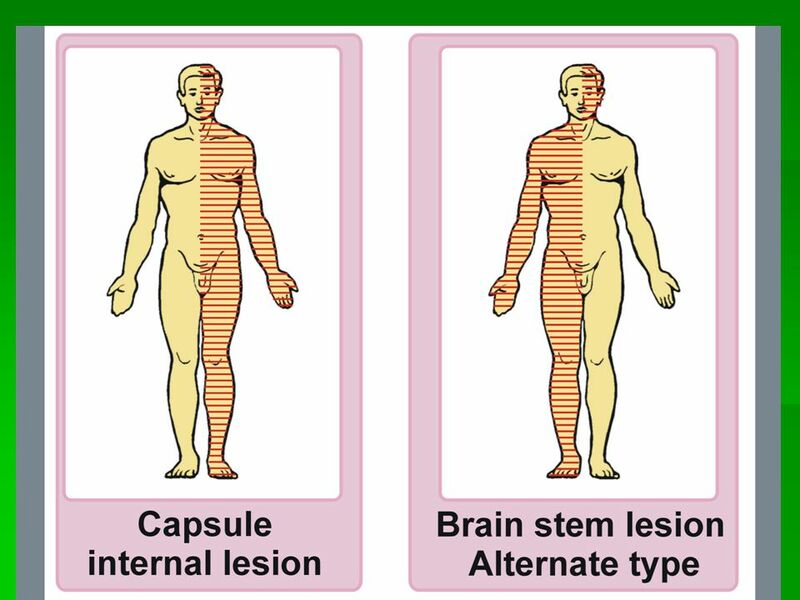 That is pain, which coincides with the place of lesion. 2. Projectional pain - is a pain in zone of innervation not only in place of stimuli, but also distally on a course of nerves or roots. 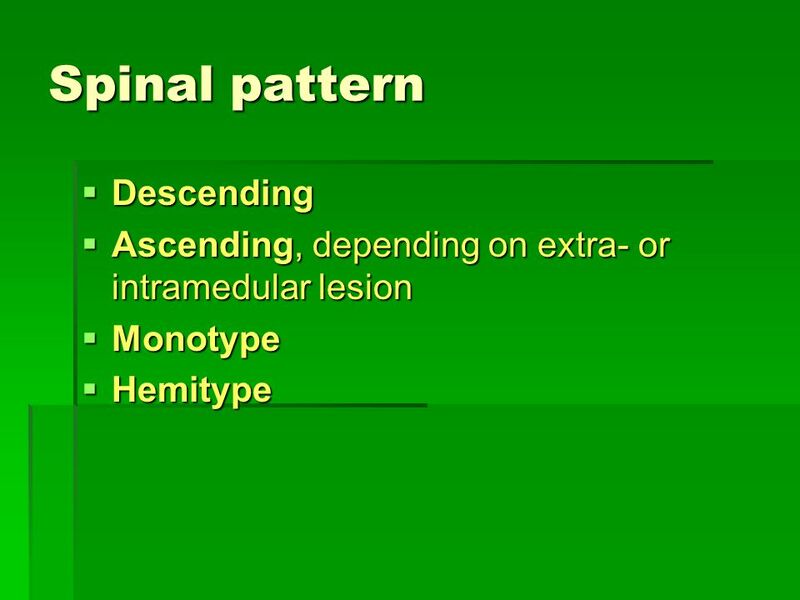 To projection belongs the stump neuralgia - pain in absent segments of an extremity after its ablation. 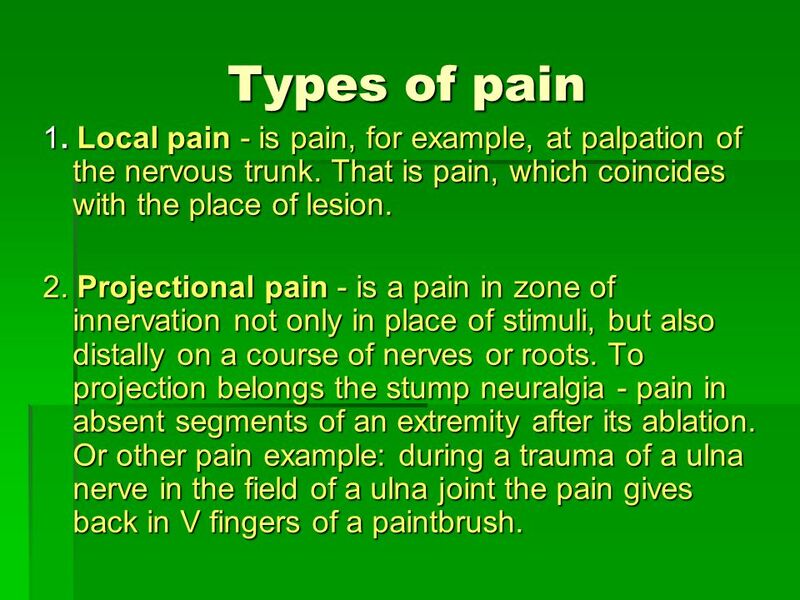 Or other pain example: during a trauma of a ulna nerve in the field of a ulna joint the pain gives back in V fingers of a paintbrush. 40 Types of pain 3. 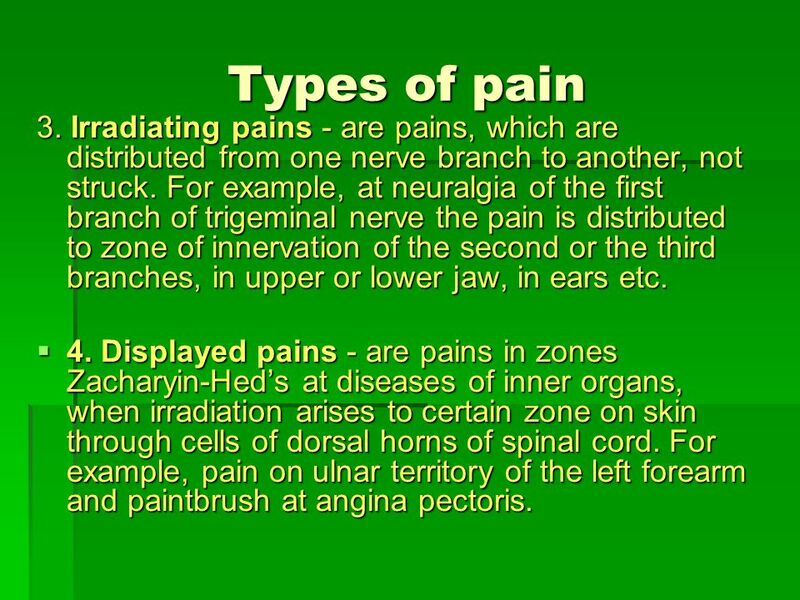 Irradiating pains - are pains, which are distributed from one nerve branch to another, not struck. 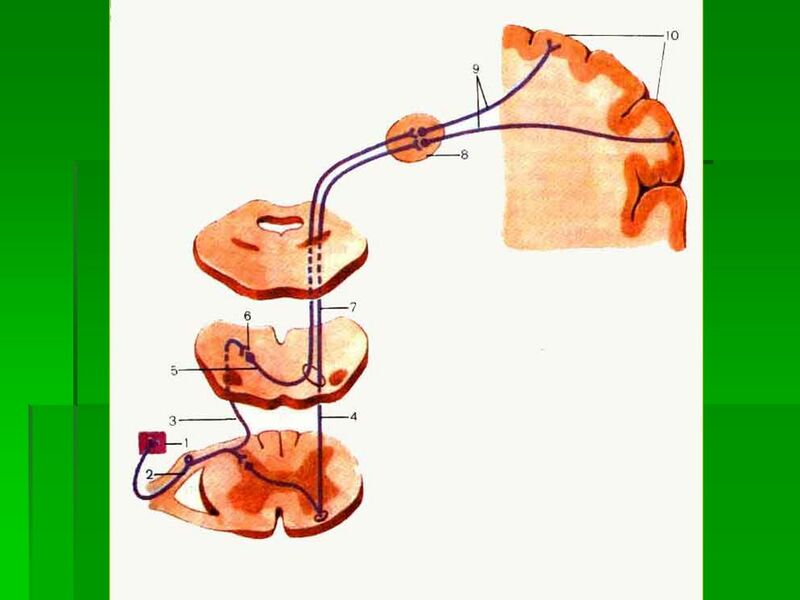 For example, at neuralgia of the first branch of trigeminal nerve the pain is distributed to zone of innervation of the second or the third branches, in upper or lower jaw, in ears etc. 4. Displayed pains - are pains in zones Zacharyin-Hed’s at diseases of inner organs, when irradiation arises to certain zone on skin through cells of dorsal horns of spinal cord. For example, pain on ulnar territory of the left forearm and paintbrush at angina pectoris. 41 Types of pain 5. 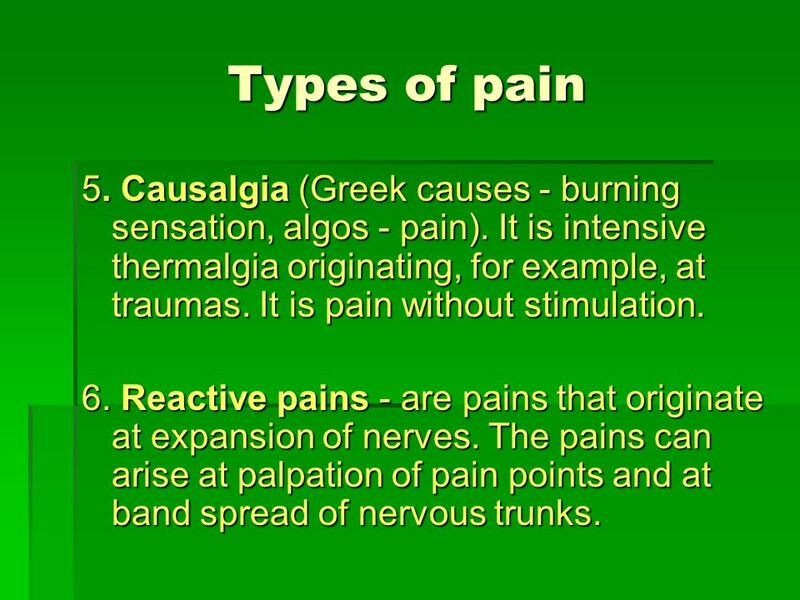 Causalgia (Greek causes - burning sensation, algos - pain). It is intensive thermalgia originating, for example, at traumas. It is pain without stimulation. 6. Reactive pains - are pains that originate at expansion of nerves. 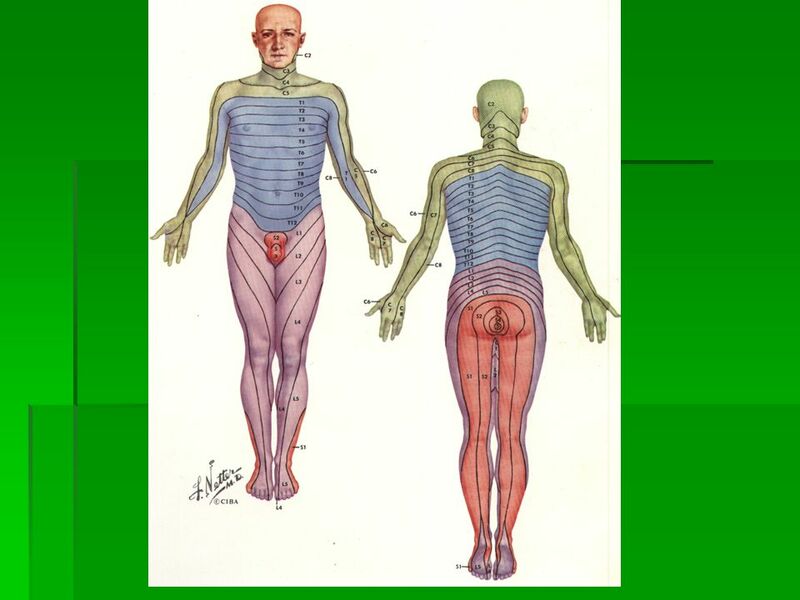 The pains can arise at palpation of pain points and at band spread of nervous trunks. 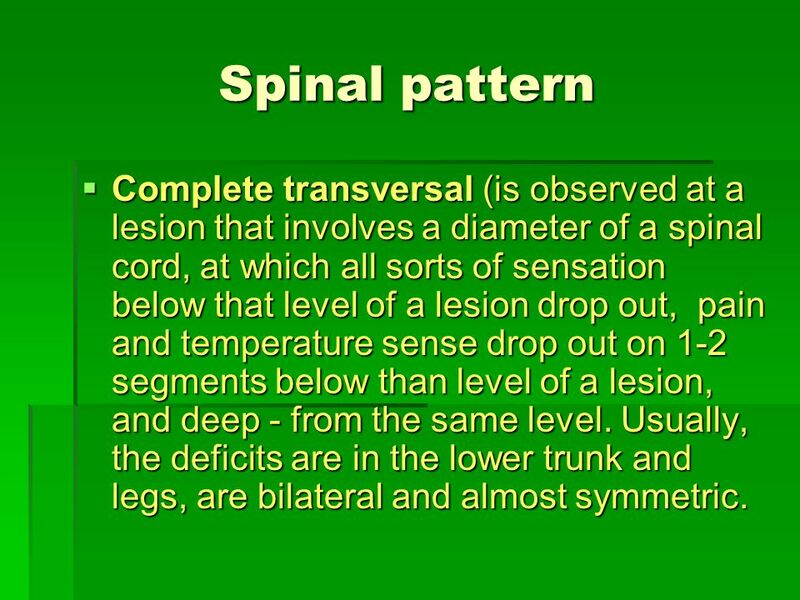 51 Spinal pattern Complete transversal (is observed at a lesion that involves a diameter of a spinal cord, at which all sorts of sensation below that level of a lesion drop out, pain and temperature sense drop out on 1-2 segments below than level of a lesion, and deep - from the same level. Usually, the deficits are in the lower trunk and legs, are bilateral and almost symmetric. 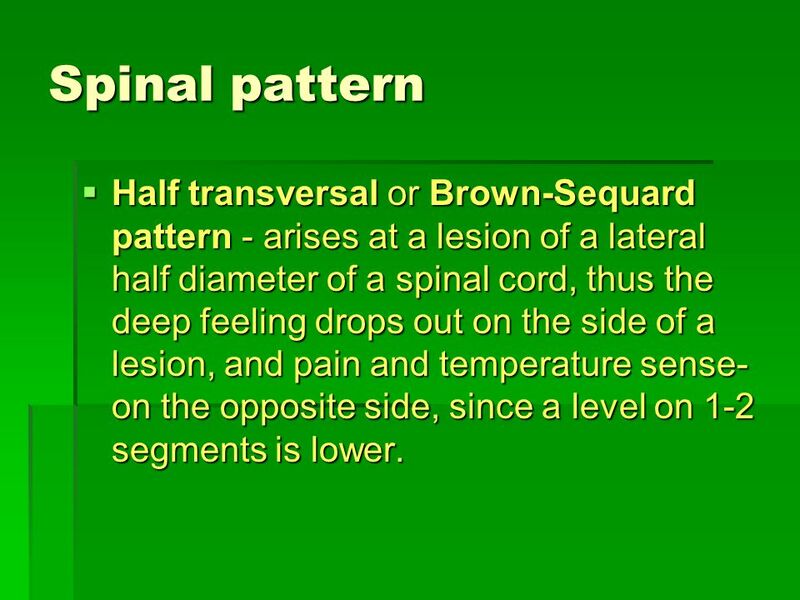 52 Spinal pattern Half transversal or Brown-Sequard pattern - arises at a lesion of a lateral half diameter of a spinal cord, thus the deep feeling drops out on the side of a lesion, and pain and temperature sense- on the opposite side, since a level on 1-2 segments is lower. 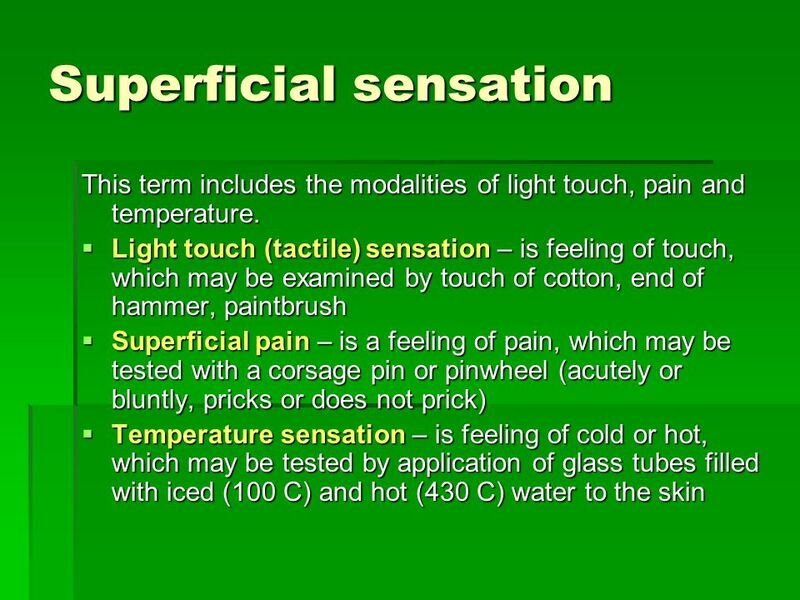 Download ppt "Sensation. 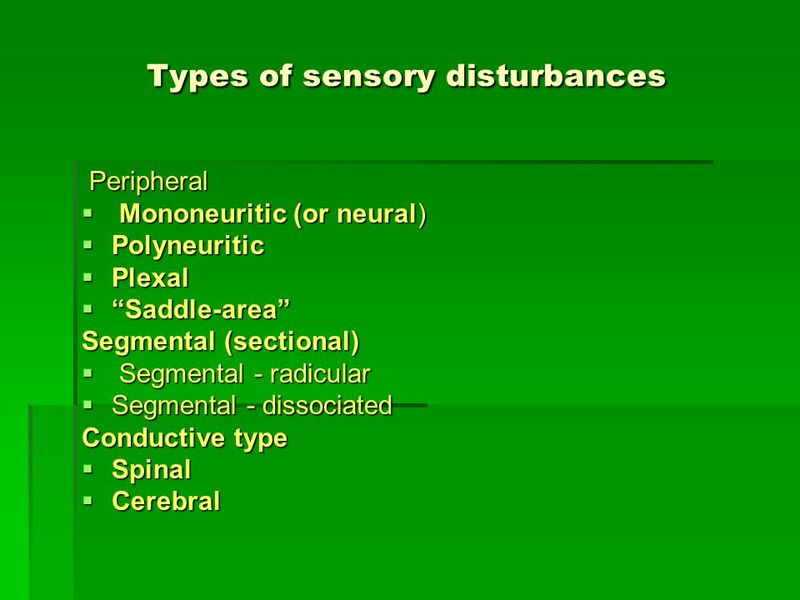 Kinds and types of sensory disturbance. 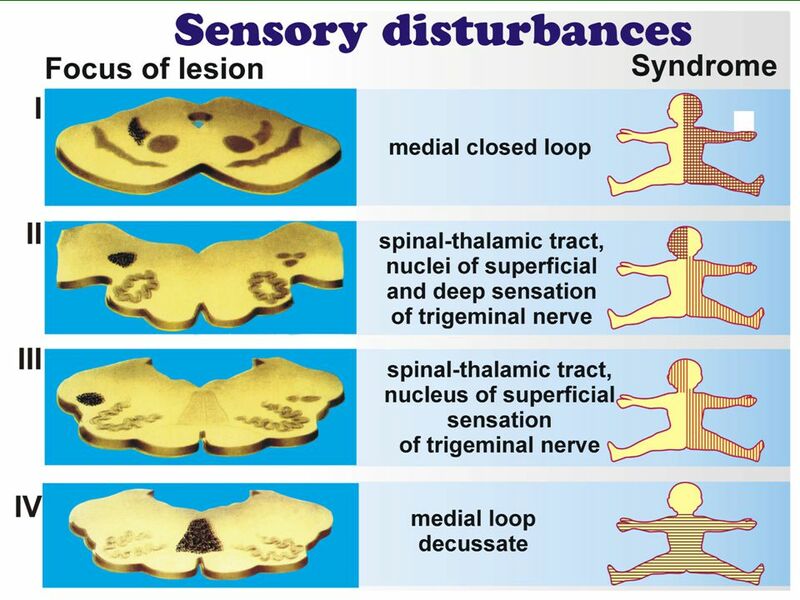 Syndromes of lesion"
Copyright © 2007 Wolters Kluwer Health | Lippincott Williams & Wilkins Neuroscience: Exploring the Brain, 3e Chapter 12: The Somatic Sensory System. No. 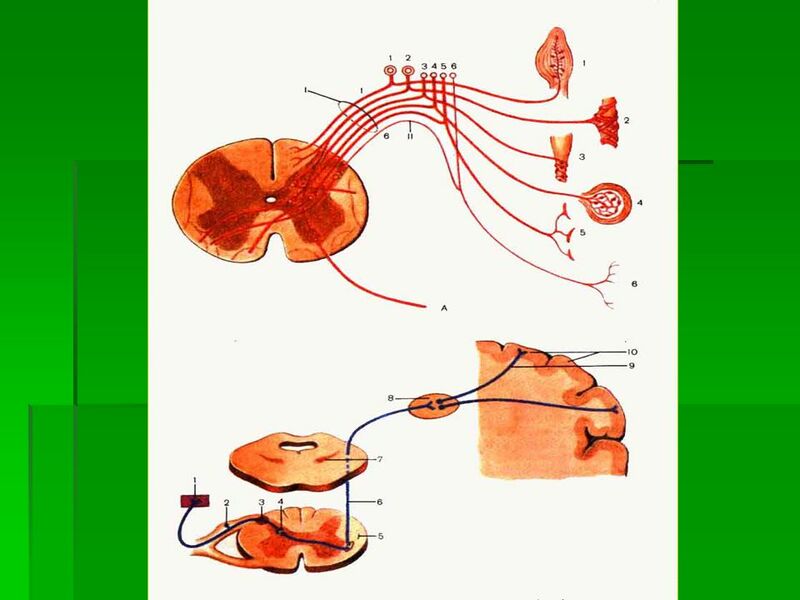 26 Sensory Pathways (1). 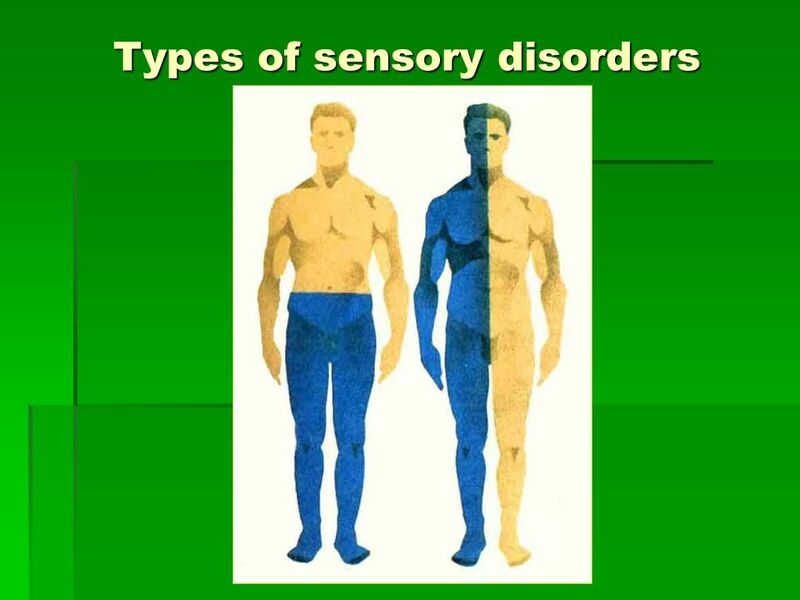 The Sensory System. 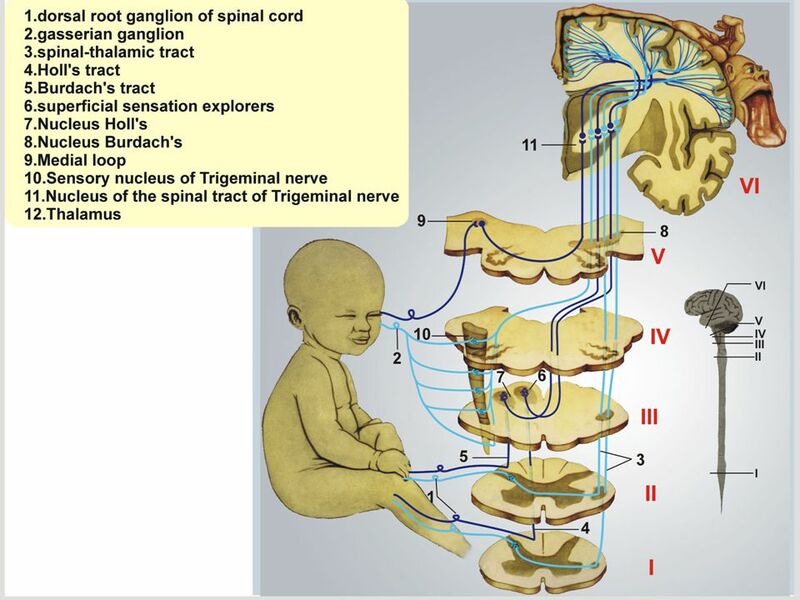 Examining the sensory system provides information regarding the integrity of the Spinothalamic Tract, posterior columns of the spinal. 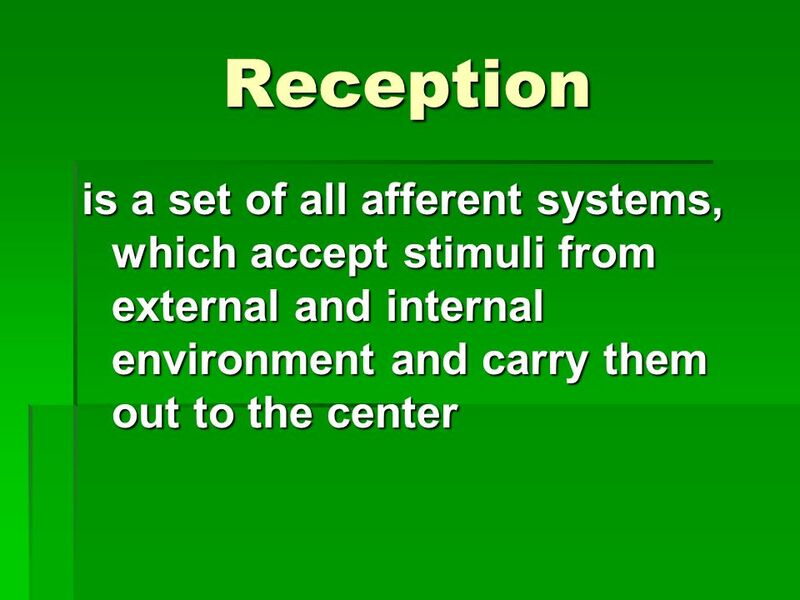 General Sensory Reception. 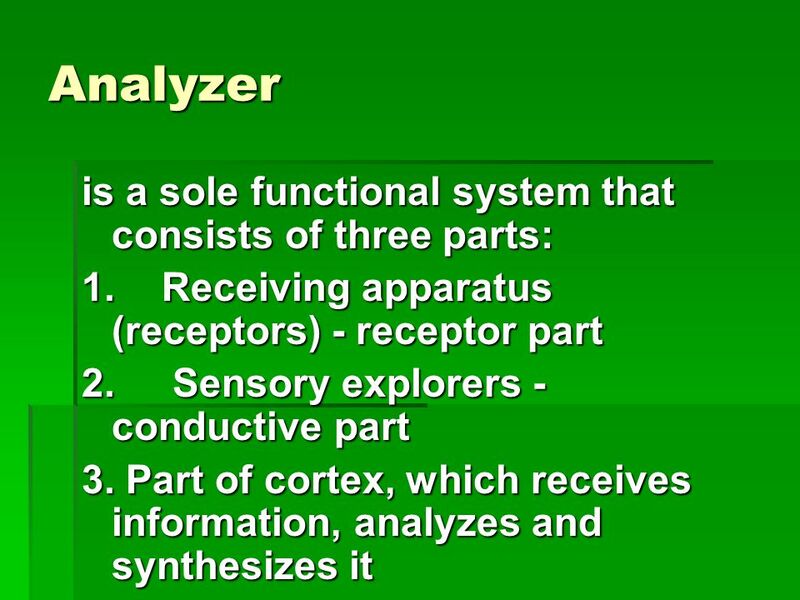 The Sensory System What are the senses ? 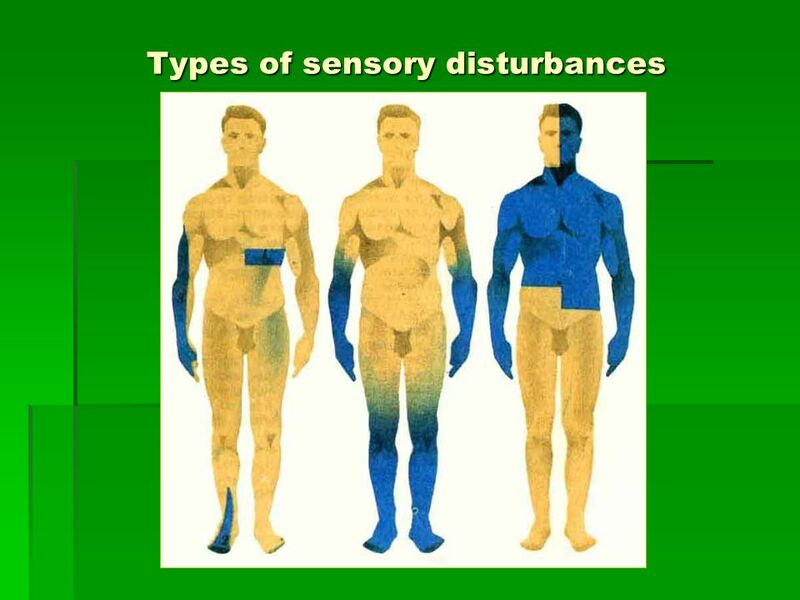 How sensory systems work Body sensors and homeostatic maintenance Sensing the external. 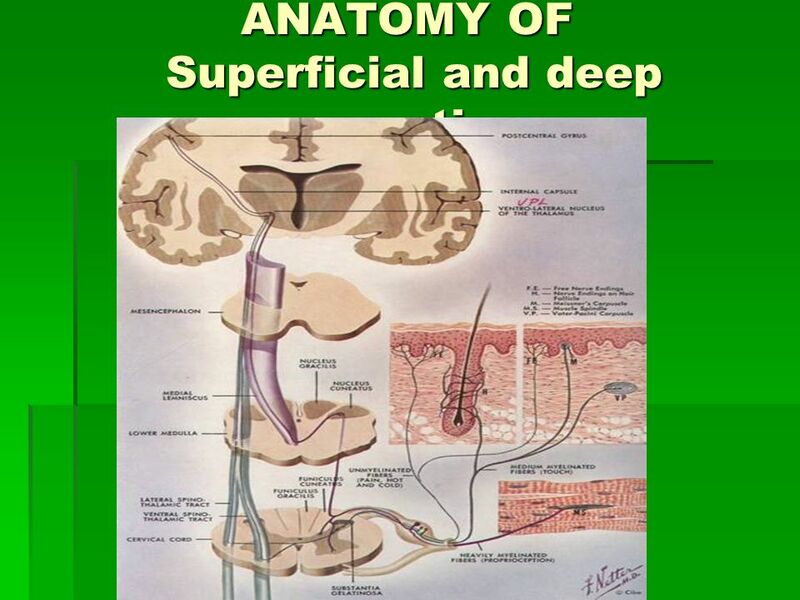 1 Sensory Pathways DR. ZAHOOR ALI SHAIKH. 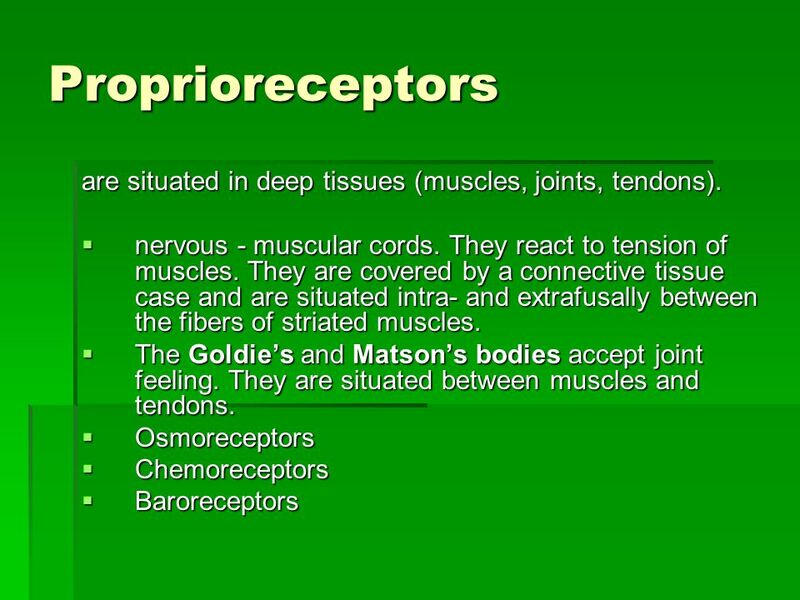 Before we talk about sensory pathways we will trace the course of sensory impulse from receptors to the spinal. 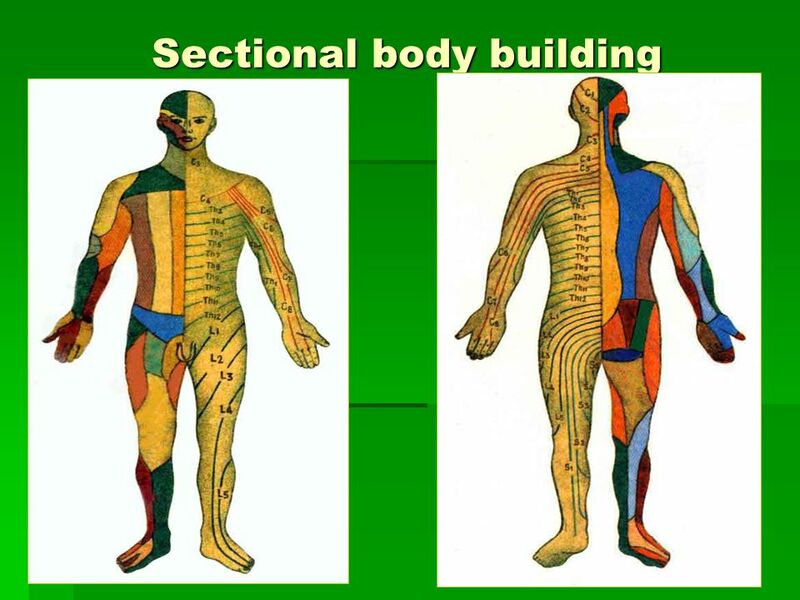 Principles of Human Anatomy and Physiology, 11e1 Chapter 16 Sensory, Motor & Integrative Systems. صدق الله العظيم الاسراء اية 58. 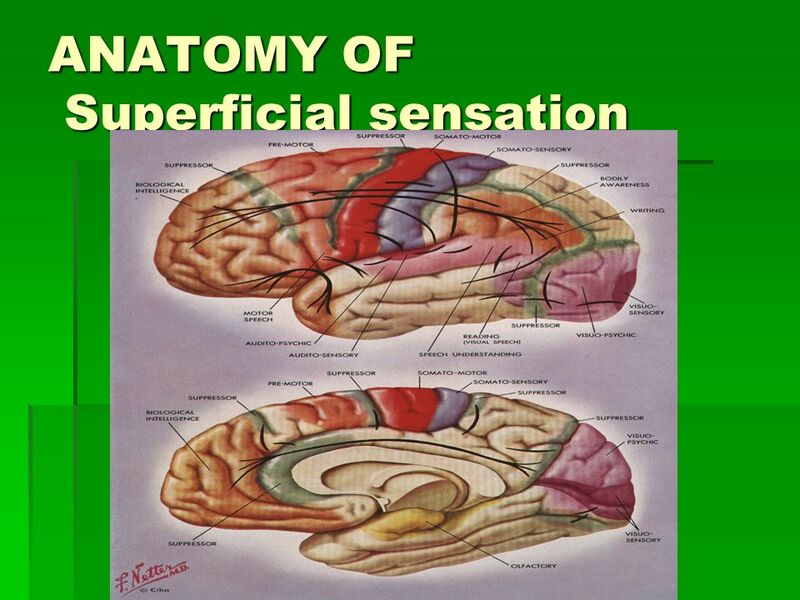 By Dr. Abdel Aziz M. Hussein Assist Prof. of Physiology Neurophysiology of Sensations. صدق الله العظيم الاسراء اية 58. 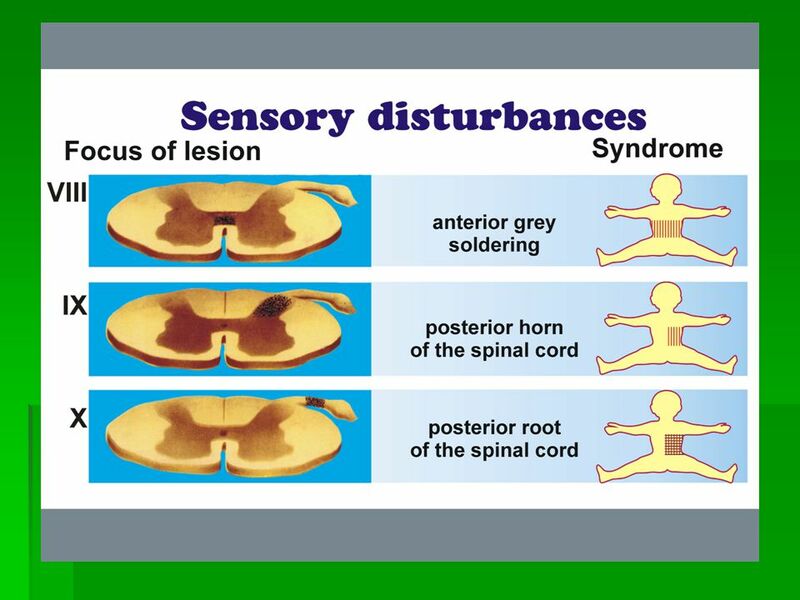 By Dr. Abdel Aziz M. Hussein Lecturer of Physiology Member of American Society of Physiology Sensory System. 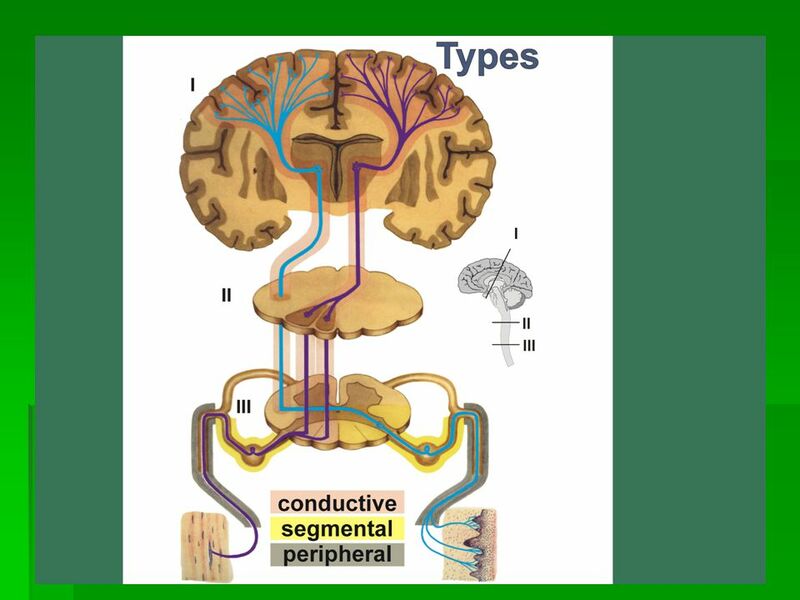 Two types of cells in the peripheral nervous system * SENSORY NERVOUS CELLS *MOTOR NERVOUS CELLS. Nervous System Exercises 22 and 23. Reflexes Reflexes are fast, predictable, automatic, subconscious responses to changes inside or outside the body. Chapter 10. 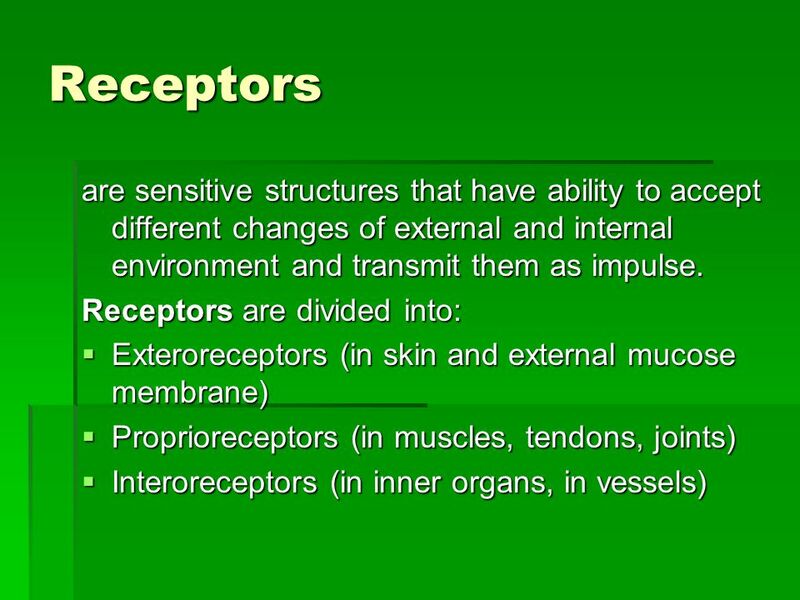  Sensory receptors sense changes in their surroundings.